Pennybacker bridge with Afternoon clouds. 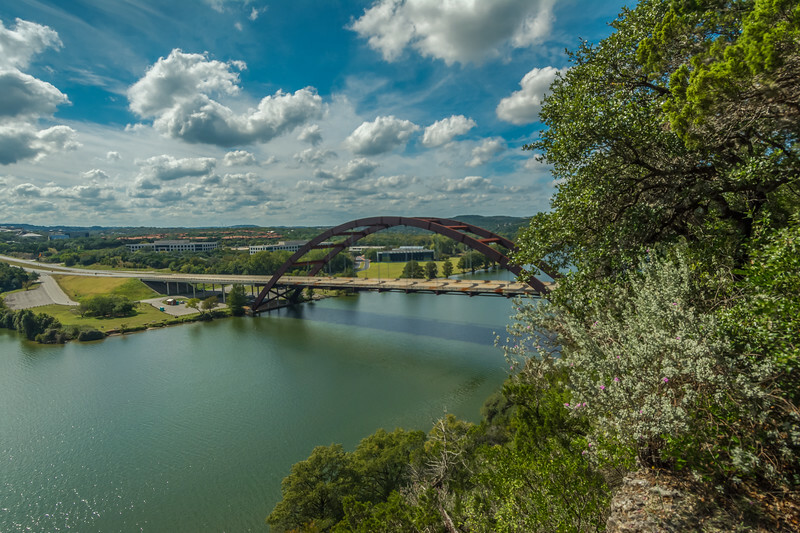 I took this from the eastern side of the Pennybacker bridge ( the side that is less visited) from a cliff overlook not to far off from the beaten path on a late afternoon. Although I have photographed the Pennybacker bridge countless times, this was the first time that I've seen (along with photographing) the bridge from this side.